Don’t you feel it’s time for a change in hair color? There are so many ideas you can try out, as well as numerous styles. 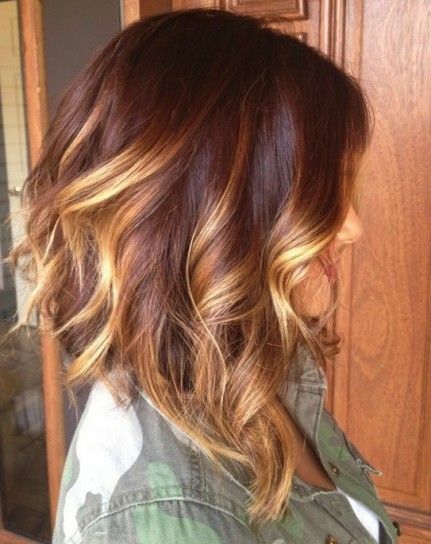 But there’s one trend in particular that you cannot overlook – the ombre. 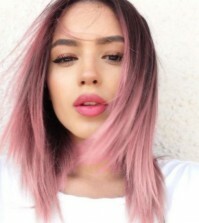 This hair coloring technique is quite ingenious. The effect created adds romance, elegance, and innovation to your current hairdo. 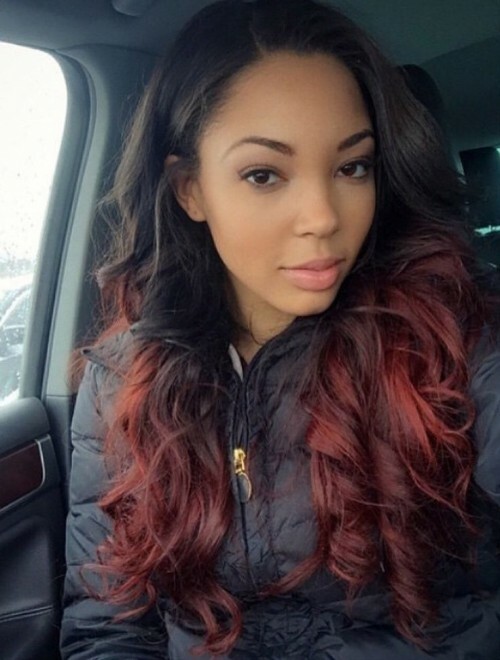 Here are 30 of the hottest red ombre hair ideas for bold women. This look requires long hair, ideally with waves. 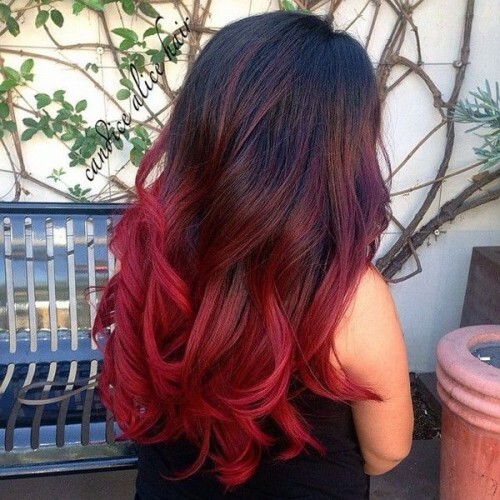 A vibrant look is achieved by adding red into the bottom part of the hair. 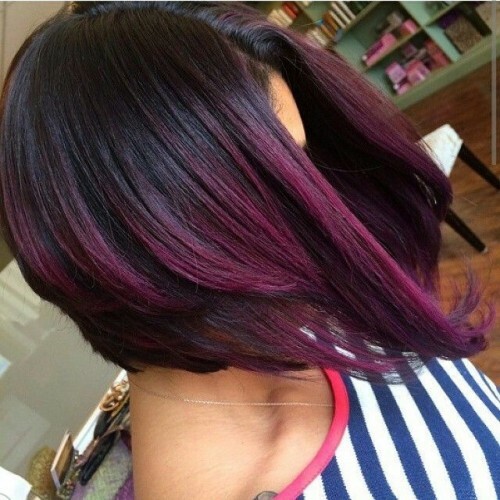 The color should gradually fade in and the tips can be as bright as you are comfortable with. Look and feel great with a feminine vibe! 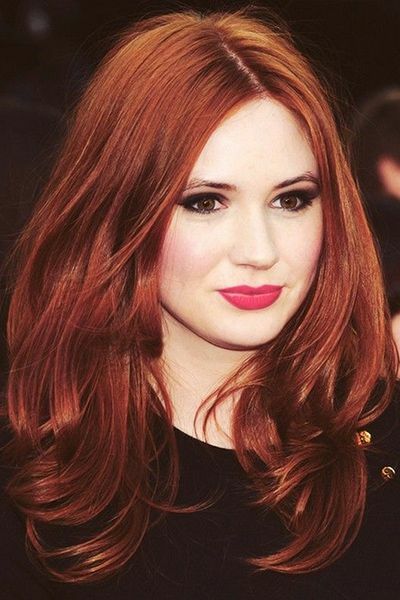 Rather than a traditional approach to red hair, try having your hair layered. Uneven layers will add texture and a curl at the end will soften the look. Your hair should be colored, ideal a chestnut brown color which should fade into an ash blonde. You’ll look like a redhead and a brunette at the same time! Another alternative to the standard full head of red hair is to mix the colors up. 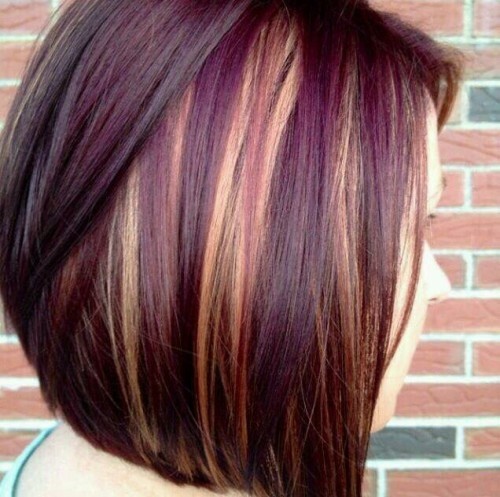 Try a deep red, almost a dark cola color and add in streaks of a different red. Cherry cola is an excellent choice although almost any shade of red can be used to balance this look. Your hair can be straight or wavy; just make sure it reflects your personality. This is a popular look and sits exceptionally well on straight hair, ideally shoulder length or longer. 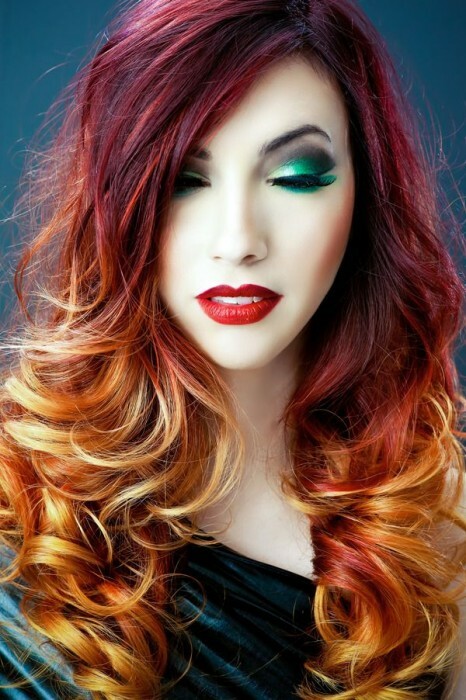 Color the last third of your hair red and add a few curls into the ends to assist with the feminine look. The dark hair around your face provides a picture frame look while the red shows your fun side. Have your hair layered, evenly. Then simply add streaks of your favorite color. Light red, dark red or even pink will give you a feminine yet sassy look which is sure to turn heads. Adding a few curls or wisps at the ends will increase the femininity of this cut. This is definitely one for the more adventurous! Long hair handles two or three colors exceptionally well and this style works incredibly well if your hair is well past your shoulders. 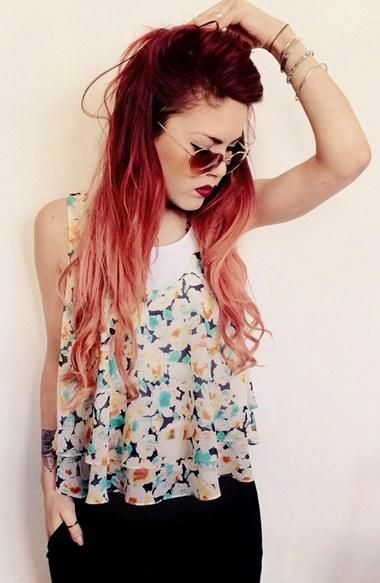 Your hair should start out a peachy color and gradually fade into a red. 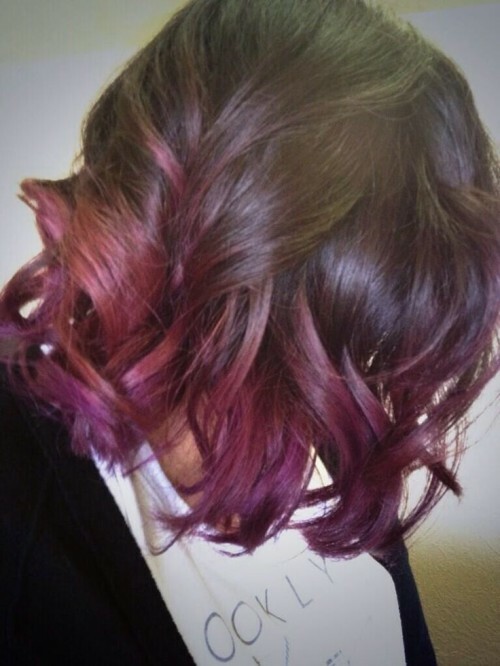 Ideally the color fade should occur at different points in your hair to create a unique, striking look. Sometimes you simply have to look like a supermodel. 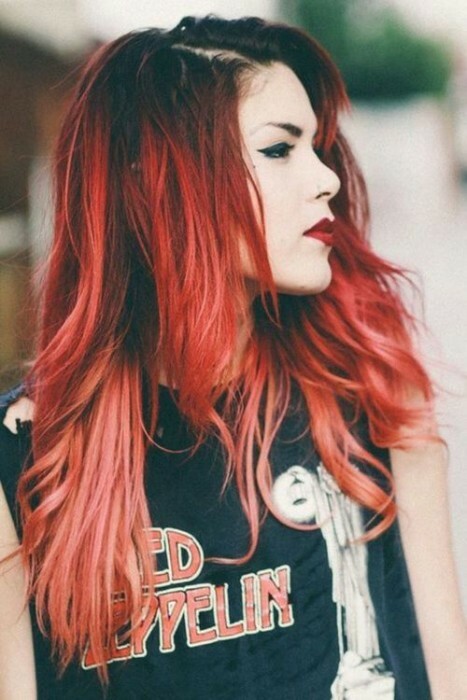 Choose a chilli red and color the top half of your hair; then fade this color into a honey blonde. Keep your hair straight and allow it to hang each side of your head, down onto your shoulders and chest. Add a few golden streaks if desired and watch everyone stare in amazement! 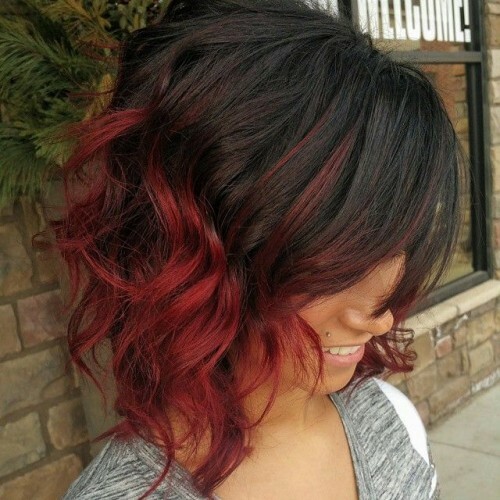 Any hair style can be brightened with a touch of red. Simply add a row of red roses, a red bow or even a brooch. The more striking the red the better the look will be. 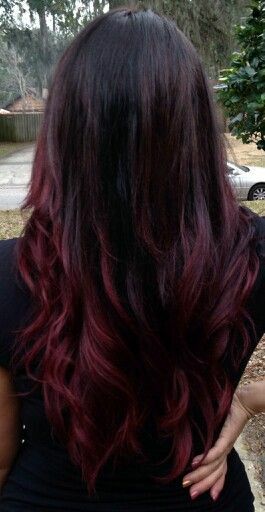 For added effect add some red streaked artificial extensions. This look is perfect for those who want to express themselves but need to look very professional at work. 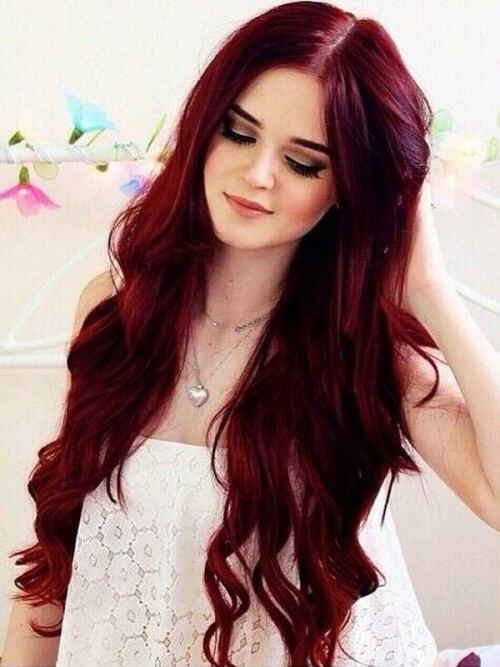 Hair which is at least shoulder length long can be dyed red and styled as normal. A deep red is best as this will appear most natural. No one will know you are not a natural red head! The red will add warmth to your appearance on the coldest days, making you positively glow. This style involves mixing the laying and the colors up. Have your hair layered and color the bottom layer should be colored a light brown (unless this is your natural color). 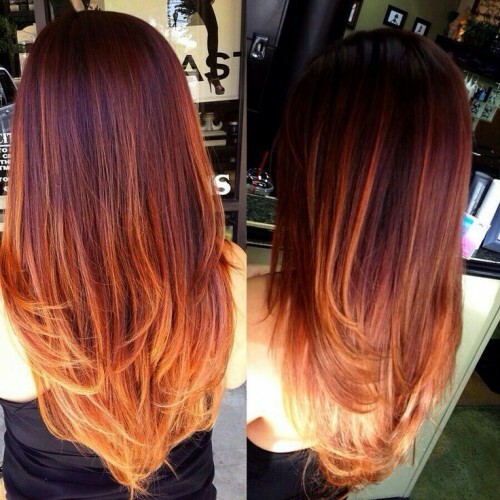 The top layers should be done in a red of your choice. The mix of layers will ensure the red does not appear as a uniform look – simply stunning! For this style to work you need to have long wavy hair. Ideally your hair should be a dark brown, although it can work with golden blonde. 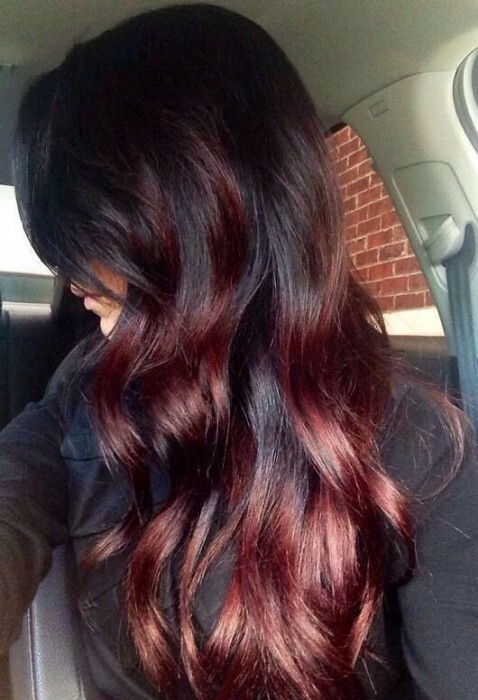 Lightly dye your hair with a deep red and straighten the hair on top of your head. Everything from the shoulders down should be wavy and tousled. 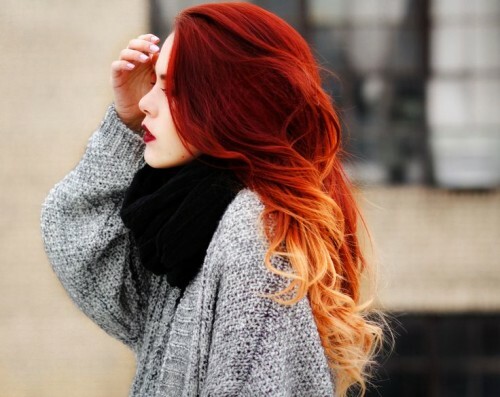 Red hair can warm the coldest day and this is particularly true in winter. Ideally you should color your hair black and your roots red. It will create a stunning but subtle look. If you wish your hair to be more noticeable add some red to the ends of your hair; just be sure to match your roots! Color your scalp hair a light red and then follow this down with either a slow warming of the red or a sudden switch to a deep red. Curl your hair and ideally have layers put in. Uneven layers can work exceptionally well. The look is pure rock chick! As its name suggests this style works on adding a variety of colors to your hair. For the best look you should use three or four different colors; keep all colors bright and cheerful. 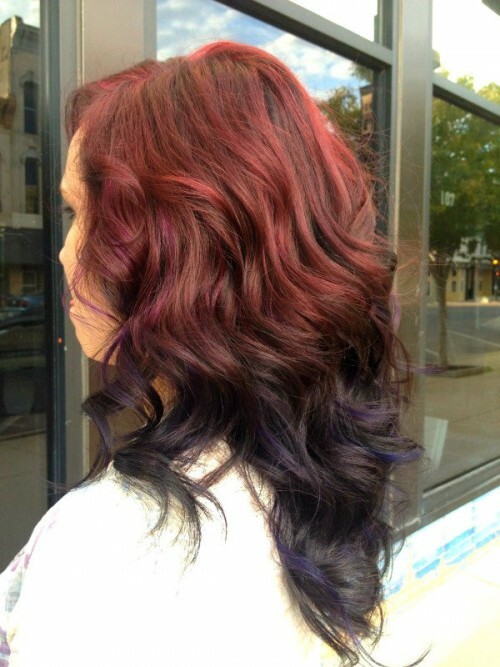 Then streak some red through all the colors to create a perfect rainbow and hair which will turn heads. Definitely one for those who love to have fun! Your hair will need to be at least shoulder length and have tight curls, either naturally or put in. Color all your hair red, except for the scalp. This should be done a golden brown or honey. The tighter the curls the more the two colors will shine through. Your hair needs to be cut into a bob! When having your hair cut add a few layers to increase the volume of your hair and then lightly run some red through all your hair. Add a mix of light browns and dark browns into your hair and enjoy the results. Your hair will look stunning and different from every angle. Pick two different shades of red, preferably a bright, almost pink color and a deeper red. Blend both colors into your hair and add a few rolling curls. Do not curl your hair tightly; you are after a retro look! For added effect layer your hair and part it into the different layers. This will suit almost any hairstyle and hair color. Your natural color can remain on top or you can opt for a dark brown or black. Simply color the very ends of your hair red and allow them to fall, tousled onto your shoulders or back. This is the perfect party animal look. This style is a twist on the standard red tipped hair. Color your roots either a pale red or even a light blue. Allow this to fade into your natural hair color and then back into the red tips. 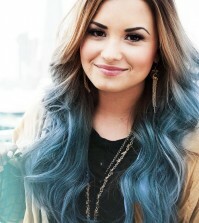 To make this look extra special move the red slightly back from the tips and add a blue finish. You will look stunning! Red head or blondie? Color your hair red from the roots to the top of your shoulders; ideally it should fade out towards the shoulders and into a blond color of your choice. Your hair should have a few waves and not be too brushed; it will give you the chic look. This is a stunning style which looks completely natural. Your hair should have uneven layers with the bottom layers having a golden brown color and the top layers having a deep red. Keep the red from being too vibrant for a natural look. The layers will ensure the colors are mixed and look naturally and beautiful. 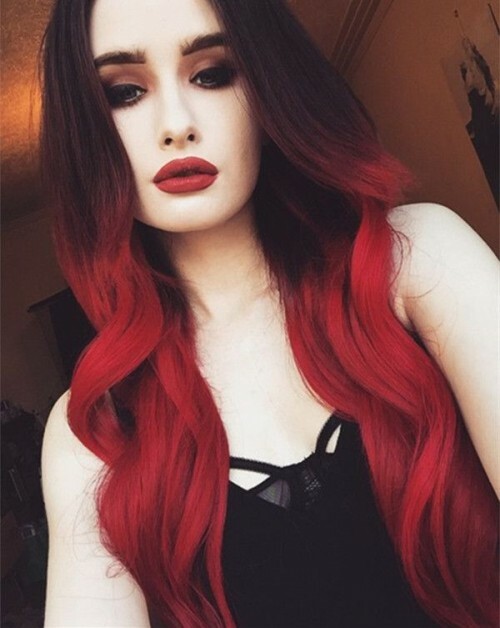 Some people with darker hair may struggle to carry off the red head look; too much red will simply overpower your features. Instead you should try fading two colors into your hair. Try a dark red at your roots and flame red streaks through your hair. Red hot will be an understatement! This look will work in the office, at home or even out for dinner, drinks and a dance. Your hair should be blended with two colors, preferably a blond and a gentle red. Style your hair as normal and you will have a woman that needs to be taken seriously; no matter what the setting. Choose a deeper red color that a natural red head would have and dye your roots this color. 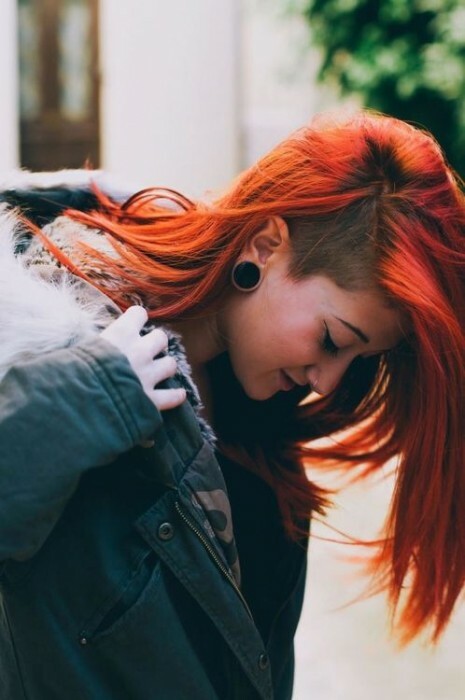 Then, dye the rest of your hair a slightly lighter red. Your hair will look naturally red; add a few waves or layers to create the perfect look. Long straight hair or long curly hair can be brightened by adding a cherry red to the tips and a few streaks in the lower parts of your hair. 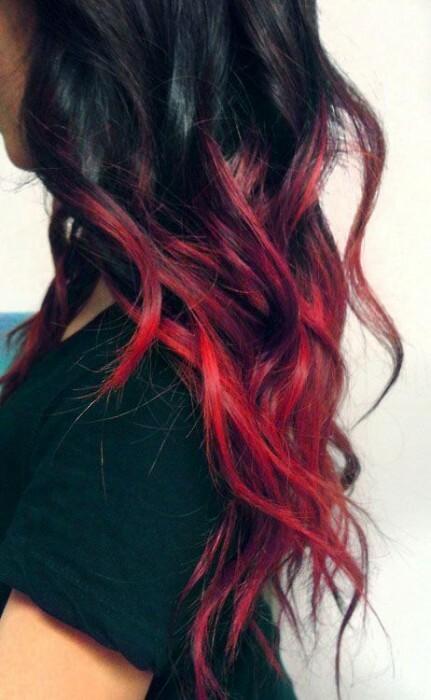 The red will be noticeable only in certain lights and will create an illusion that your hair is changing color. Guaranteed to keep any man guessing! 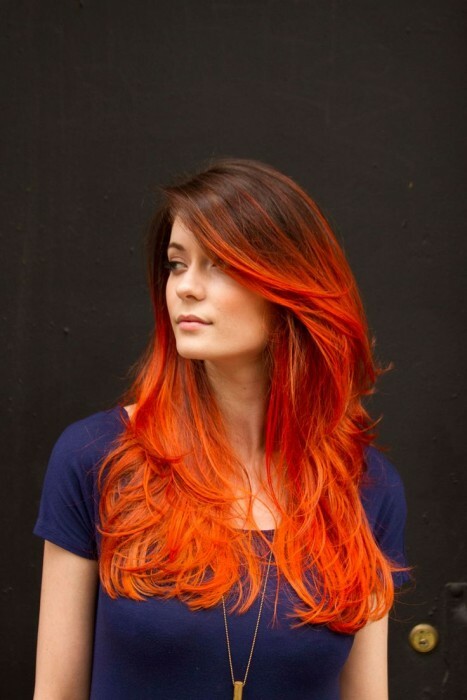 Red and orange can work exceptionally well on your hair; if applied properly. 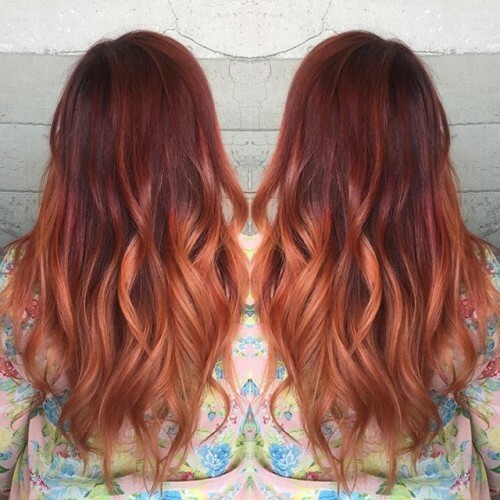 A medium red can be blended with a light orange to give a natural looking, vibrant and fun hairstyle. Wavy hair helps to keep the look natural, whilst the lighter colors make your hair shine. 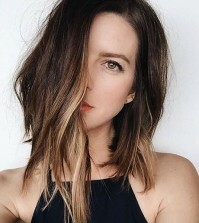 This is another style that looks perfect on longer hair. Keep your natural color from roots to half way down your hair. Then add a vibrant red to your hair but fade some of the tips. 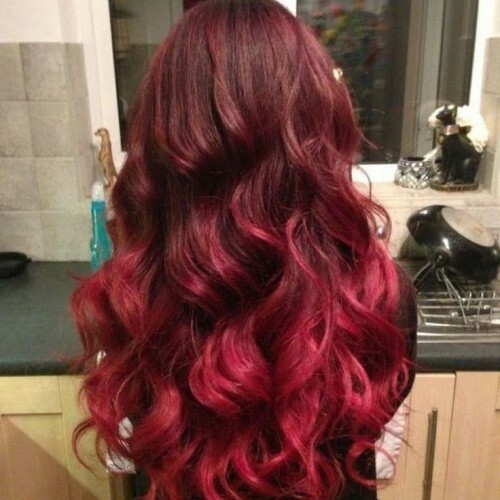 The bottom part of your hair will become a mixture of reds, it will turn heads! Winter brings cold breezes and this style is designed to look its best in the breeze. Your roots need to be naturally black or colored black. The rest of your hair should have alternating streaks of blonde and a light red. Add in a half parting to create the perfect winter look. This style of hair is dominated by the striking fishtail. 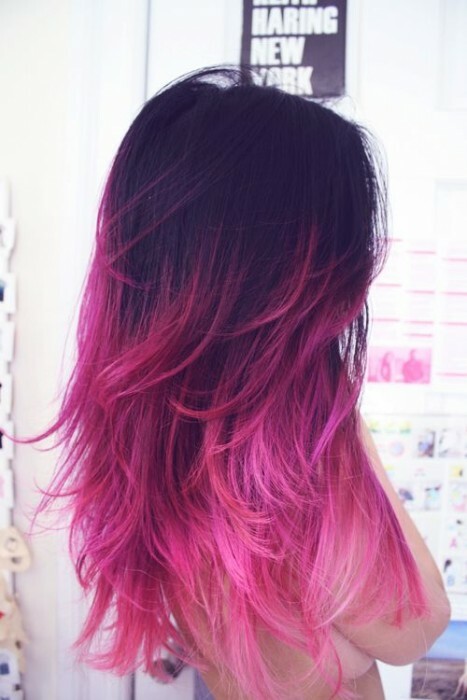 For it to work your hair should be a mild pink with red streaks running through it. Your hair should be swept back from your face and into the fishtail. The colors will shine and catch anyone’s eye; even from a distance! Create a soft, romantic look by adding a deep red to the lower half of your hair. This should be blended with your natural hair color and a few waves will add softness which suit any romantic occasion. Ideally, the top half of your hair should be a darker color and brushed straight. This will add to the look. 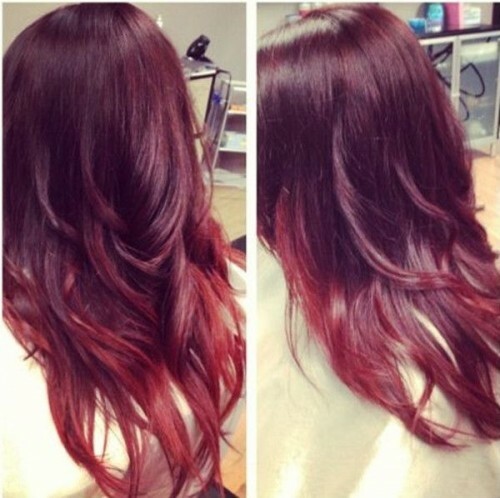 Make your choice and go for the hot red ombre that best matches with your personal style. Choose wisely and let your locks be a canvas for the coolest and most innovative hairstyle.